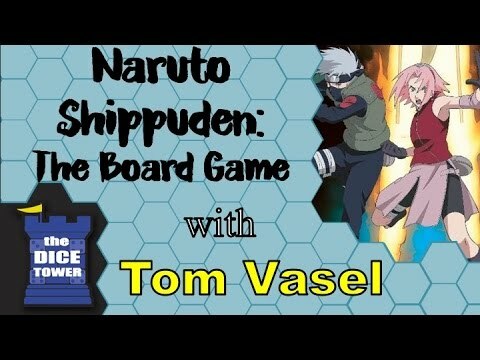 Naruto Shippuden: The Board Game társasjáték - Magyarország társasjáték keresője! A társasjáték érték! 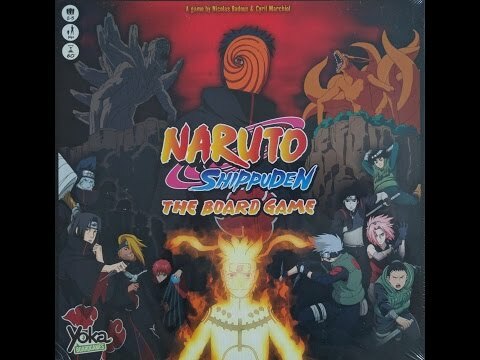 A Naruto Shippuden: The Board Game egy könnyen tanulható társasjáték, 2 - 6 játékos részére, az átlagos játékidő rövidebb, csak 1 óra. A társast, a könnyebb tanulhatósága ellenére, csak 13 éves kortól ajánljuk kipróbálni. Kooperatív jellegű. 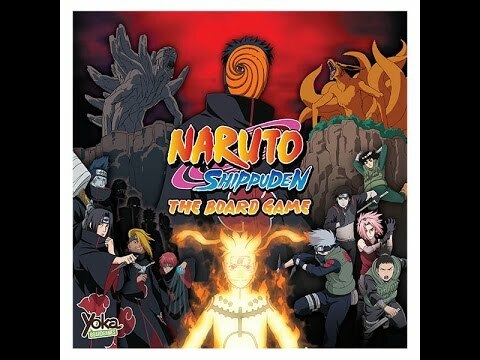 Naruto Shippuden: The Board Game is a cooperative game based on the travels of Naruto and his friends at the beginning of the Naruto: Shippuden series. The Akatsuki, a criminal ninja organization, are hunting Jinchuriki: humans who are host to tailed beasts, of which Naruto is one. 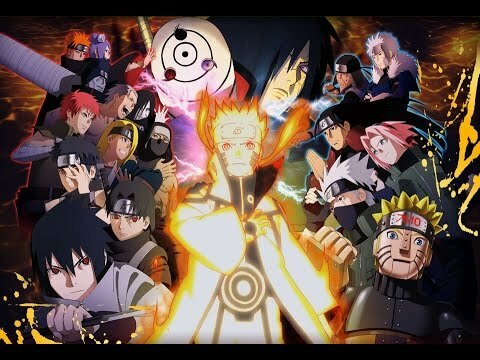 Taking on the roles of Naruto, Sakura, Kakashi, Rock Lee, Sai and Shikamaru from the Hidden Leaf Village, players attempt to stop the Akatsuki from extracting the tailed beasts from their bearers and using them to power their ultimate weapon: The Gedô Mazô. 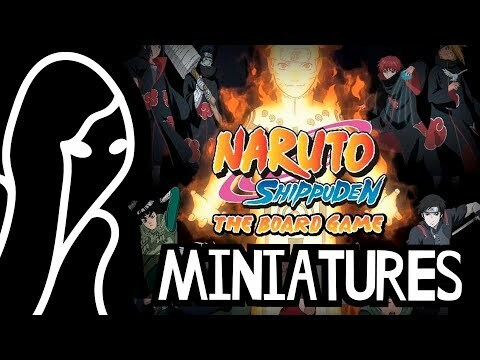 In more detail, the Akatsuki start at one of the nine villages on the game board, spend at most three turns in that village, then (if they're not defeated there) move to the next village. Each Akatsuki character has its own strengths and weaknesses. The villages are distant from one another, so players can't race from one village to another after them, but must divide their forces to prepare for conflict, encountering unexpected events along the way. Each player has a character card showing Combat Ability, Chakra Reserve, and Strategy Value, as well as an experience track that allows them to power up over time. Each character also has a deck of fourteen ability cards, some common to each deck but most unique to that character. Each turn a character takes two actions from move, meditate, or fight. When you fight, you roll dice, hoping for shuriken. You can play cards to increase the number of dice you roll, but you must spend Chakra to play them and both cards and Chakra are limited. The enemy fights back if you don't deal enough damage to it, possibly triggering special powers and additional effects in the process. Once the Akatsuki arrive at Hidden Leaf Village, players must face Tobi and the Gedô Mazô, with their power being greater for each tailed beast that they stole on their way to this final showdown. Naruto Shippuden: The Board Game features three levels of play and a large variety of enemies, making each game a unique experience. 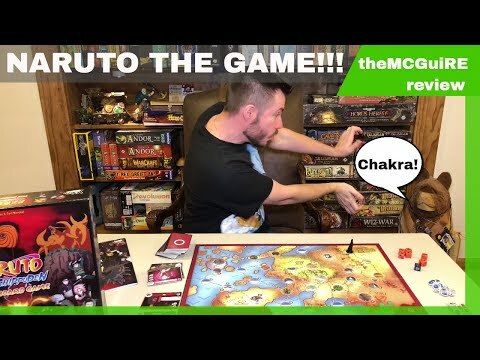 theMCGuiRE review looks at NARUTO SHIPPUDEN THE BOARD GAME!